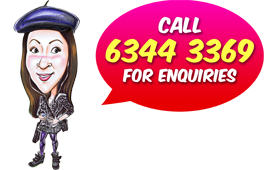 I would like the drawing to be of the subject wearing a rugby top and shorts, photos supplied of subject and clothing. I would like hom to be holding a Dragons Rugby Club ball in one hand (photo supplied) and a can of beer in the other hand. 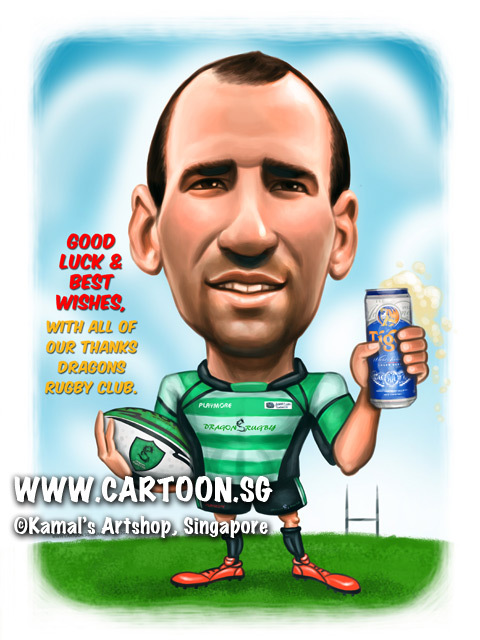 The caricature is a leaving gift for the club’s Head Coach who is leaving Singapore. Is it possible to write along the bottom somewhere : Good luck and best wishes, with all of our thanks Dragons Rugby Club.